(Jakarta, 24 Sept 2014) Pledges of loyalty from Indonesian extremists to the Islamic State (IS, formerly known as the Islamic State in Iraq and Greater Syria or ISIS) in Indonesia could raise the risk of violence and increase the incentive for attacking foreigners. “The overall capacity of Indonesian extremists remains low, but their commitment to ISIS could prove deadly,” says Sidney Jones, director of the Institute for Policy Analysis of Conflict (IPAC). The latest report from the Institute for Policy Analysis of Conflict (IPAC), The Evolution of ISIS in Indonesia, looks at the origins and development of the ISIS support network in Indonesia, starting with the involvement of a few Indonesians in a radical online discussion group run by the founder of the UK-based group Al-Muhajiroun in 2005. One of those Indonesians developed the radical website Al-mustaqbal.net and became the chief organiser of ceremonies across Indonesian cities to pledge allegiance to IS. If you do not have bombs or bullets, and a kafir (infidel) from America or France or one of their allies comes out, hit him in the head with a rock, carve him up with a knife, hit him with your car, throw him off a high place or poison him! The fact that Aman can still get access to these statements and get them translated and posted within 24 hours on Al-mustaqbal.net suggests that supervision of convicted terrorists still needs improvement. The new IPAC report examines developments in Syria and looks at how Indonesians and Malaysians may have formed a new military unit there. 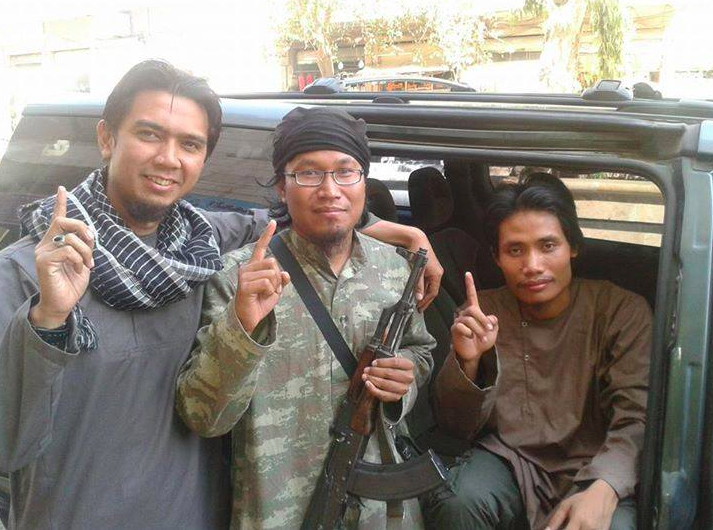 It also identifies some of the individuals acting as liaisons between Indonesia and Syria. The report examines the Indonesian government’s forceful response, including the seven-point instruction issued by President Yudhoyono in the waning days of his administration.